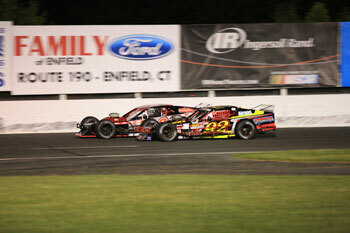 (Stafford Springs, CT) — When the Valenti Modified Racing Series came to Stafford Motor Speedway last May, Anthony Nocella and the #92 Nocella Paving team took the checkered flag and used the momentum from that race to help propel them to the 2017 VMRS Championship. When the VMRS makes their first of two scheduled visits of 2018 to Stafford on Friday, May 18th, Nocella hopes to keep his early season momentum alive and win the race for the second consecutive year. If Nocella is to repeat his victory of one year ago, he knows he will face some stiff competition. 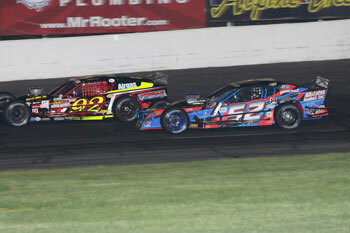 Rowan Pennink and the #25 Gary Casella owned team have already made their mark on the 2018 season with 2 wins in the first three races, and Nocella is also wary of SK Modified® drivers who will be pulling double duty as well as the VMRS regulars. The numbers certainly back Nocella up. 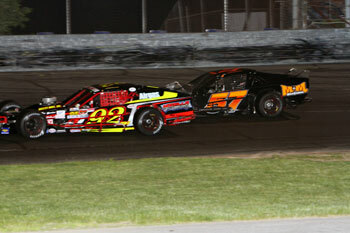 In the 19 VMRS races to date that have been held at Stafford, 13 of them have been won by drivers who are either current weekly racers or former weekly racers. A VMRS win has been tough for non Stafford regulars, but Nocella seems to have found the fast way around the Connecticut half-mile facility. With drivers having to run the 80-lap race on the same tires that they qualify on in their heat race, Nocella says that the one practice session that the VMRS cars will have will play a key role in drivers determining the optimal setup to be able to manage their tires so that they can race hard in the final stages of the VMRS 80. As well as the VMRS 80 next Friday night and the Lincoln Tech VMRS 80 scheduled for August 31, Nocella will be looking to park his #92 machine in NAPA Victory Lane for the June 8 and July 13 Open Modified 80’s at Stafford this season.